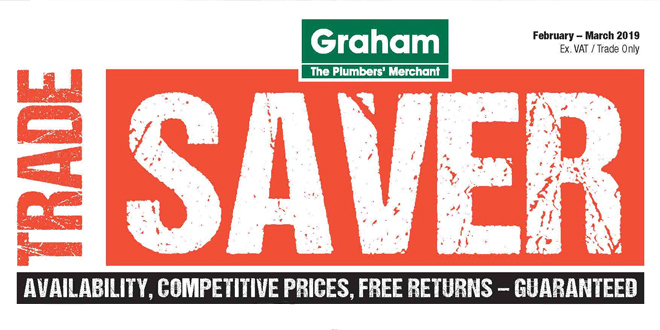 Graham Plumbers’ Merchant has simplified its pricing structure for 30,000 of its most popular product lines. A new Trade Saver catalogue and an enhanced Always Available range will now have fixed prices, giving installers clarity and certainty when it comes to pricing jobs. Research has shown that the trade has fallen out of love with the pricing structure of traditional merchants, with installers less likely to want to spend their time negotiating deals – and many citing inconsistent pricing as one of their biggest bug bears. For more information please visit www.grahamplumbersmerchant.co.uk.